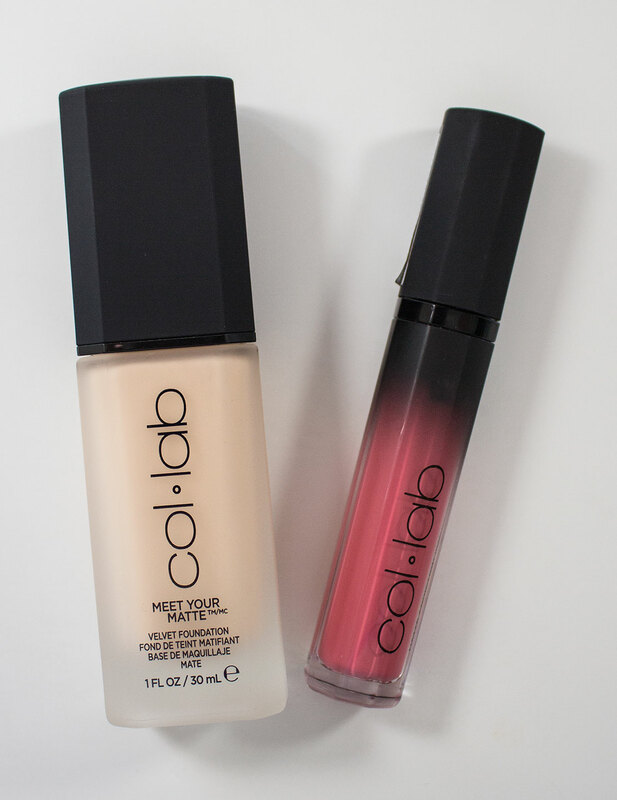 Col-Lab Meet Your Matte Velvet Foundation in Ivory 02 and Matte Addiction Liquid Lip Color in Suave. The Col-Lab Meet Your Matte Velvet Foundation retails for $14.69US and $21.49CAN for 1 fl. oz. / 30ml of product. The Col-Lab Matte Addiction Liquid Lip Color retails for $8.79US and 14.29CAN for 0.21 oz. / 30ml of product. Col-Lab Matte Addiction Liquid Lip Color in Suave. Col-Lab Matte Addiction Liquid Lip Color in Suave label. Col-Lab Meet Your Matte Velvet Foundation in Ivory 02. 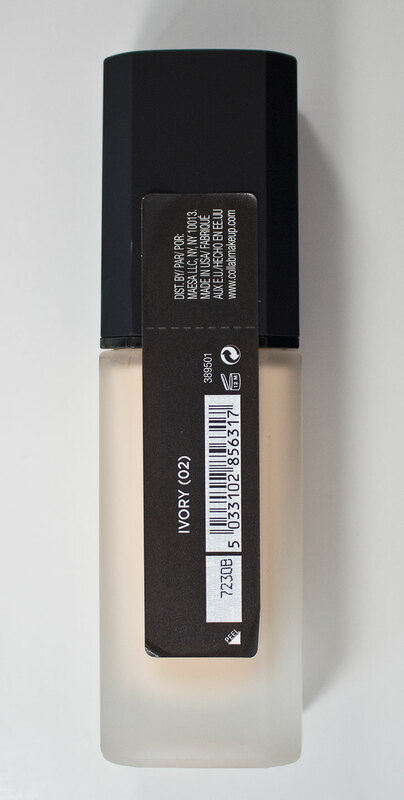 Col-Lab Meet Your Matte Velvet Foundation in Ivory 02 backside label. The Col-Lab Meet Your Matte Velvet Foundation is a medium to semi-full coverage foundation with a more creamy texture compared to most silicone base foundation. The texture is mousse and easy to build up to fuller coverage but also easy to sheers out as needed to a medium coverage. The formula also smooths out the skin as well and dries down the powdery texture on the skin that was flattering. The Col-Lab Matte Addiction Liquid Lip Color formula is a true soft matte finish with a lightweight feel on the lips and not too drying. This particular shade didn't want to apply fully opaque on my lips in one pass but was buildable if need be. Meet Your Matte Velvet Foundation in Ivory 02 is a light neutral foundation shade with a matte finish. 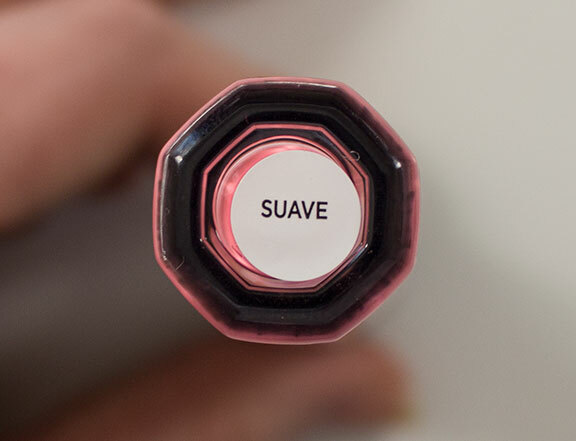 Matte Addiction Liquid Lip Color in Suave is a hot pink/coral with demi-matte finish. 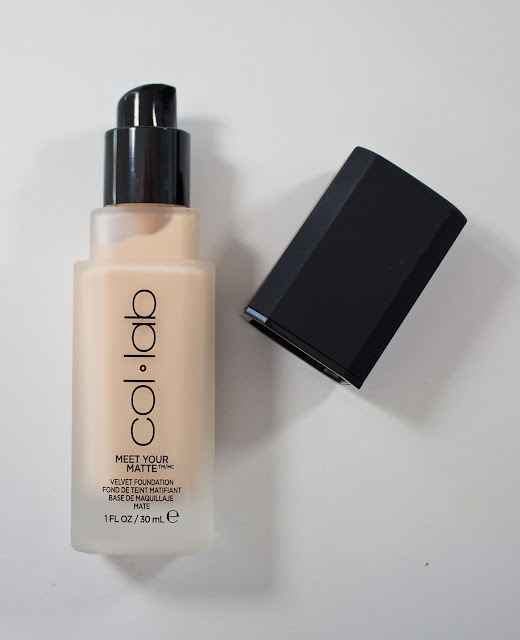 Wear: Col-Lab MeeMeet Your Matte Velvet Foundation I got 12 hours to wear before I noticed fading without a primer or powder on most of my face but my nose which is a little more oily the foundation completely disappeared after 6 hours. It last longer with a primer and setting powder. Col-Lab Matte Addiction Liquid Lip Color in Suave last 7 hours before completely fading off my lips. Packaging: The Col-Lab MeeMeet Your Matte Velvet Foundation has an elongated octangle with rounded corners frosted glass jar with a black lid and pump. 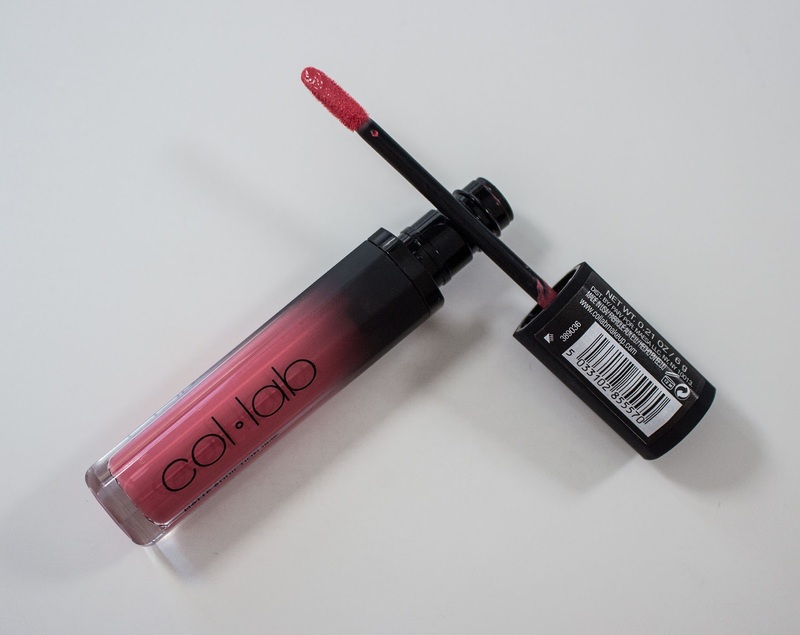 Col-Lab Matte Addiction Liquid Lip Color in Suave is a rounded octangle tube with a black cap and elongated doe foot applicator. Daylight swatch: Col-Lab Matte Addiction Liquid Lip Color in Suave. Col-Lab MeeMeet Your Matte Velvet Foundation in Ivory 02 applied wet and heavy and buffed out and dry. Flash swatch: Col-Lab Matte Addiction Liquid Lip Color in Suave. Col-Lab Meet Your Matte Velvet Foundation in Ivory 02 applied wet and heavy and buffed out and dry. Col-Lab Meet Your Matte Velvet Foundation in Ivory 02 on the right side of my face. 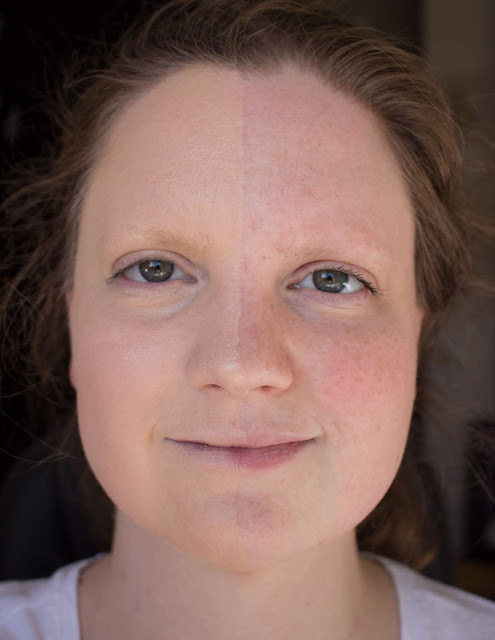 Coverage was good but not 100%, it took out my redness and unevenness. My blemishes are corrected in tone as well. My freckles are almost gone and It caught on my serious dry patches (blemished that were drying out) but I didn't get any weird dry patches on my skin, which is good. I did notice without a primer that it settles into my nose pores more so when I had blackheads causing white spots. 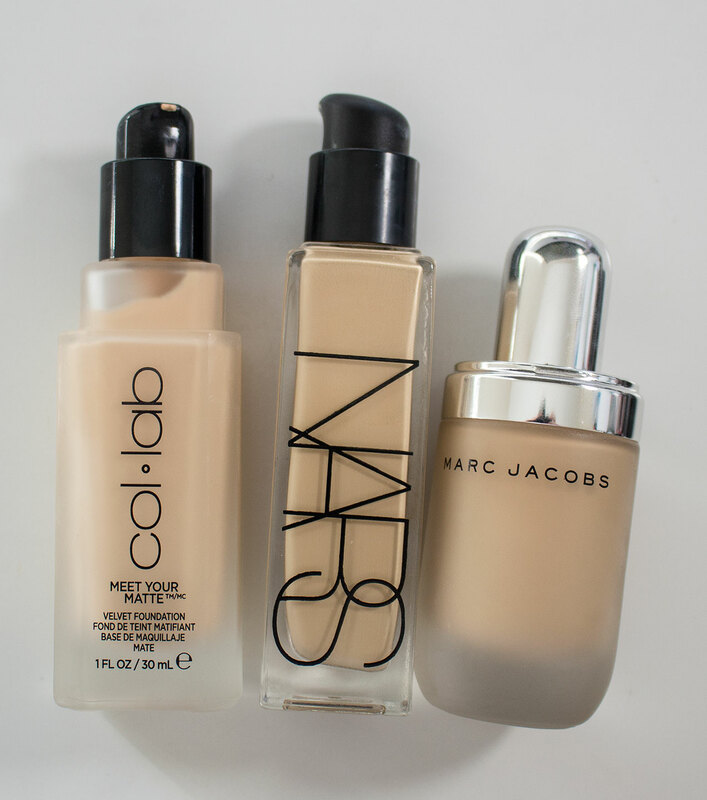 Col-Lab Meet Your Matte Velvet Foundation in Ivory 02, NARS All Day Luminous Weightless Foundation in Gobi, Marc Jacobs Re(marc)able Full Cover Foundation Concentrate in Ivory 12. 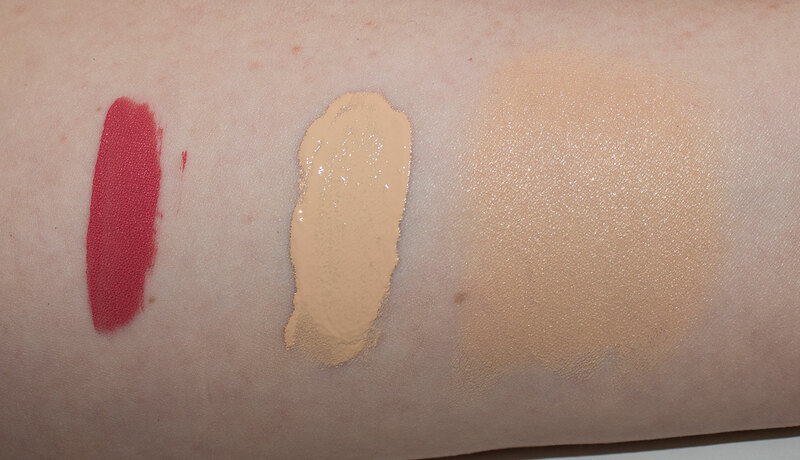 Daylight & Flash swatch: Col-Lab Meet Your Matte Velvet Foundation in Ivory 02, NARS All Day Luminous Weightless Foundation in Gobi, Marc Jacobs Re(marc)able Full Cover Foundation Concentrate in Ivory 12. 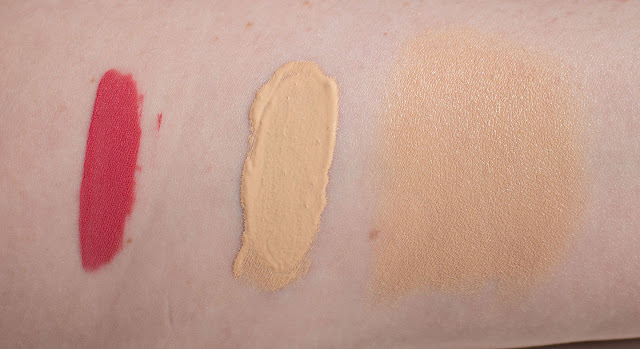 Col-Lab Meet Your Matte Velvet Foundation in Ivory 02 is warmer and less yellow compared to the NARS All Day Luminous Weightless Foundation in Gobi and Marc Jacobs Re(marc)able Full Cover Foundation Concentrate in Ivory 12. 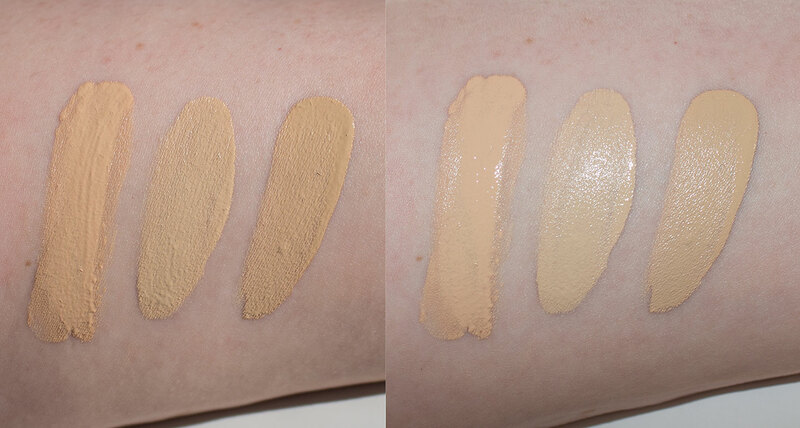 Col-Lab Meet Your Matte Velvet Foundation in Ivory 02 is a really nice foundation for dry skin people. 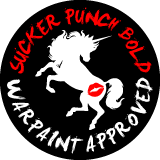 it looks powdery but not dry without a primer and looked even better with a primer. I lasted a good amount a time everywhere, but my nose which is oily that just broke down and disappeared completely on it. This could be fixed with a primer but it's a foundation I would recommend to dry to normal skin people. Col-Lab Matte Addiction Liquid Lip Color in Suave is a nice liquid lipstick formula that sort of reminded me of Jeffree stars in that if doesn't feel drying on the lips but the trade off is it also don't last as long as most liquis lipsticks.